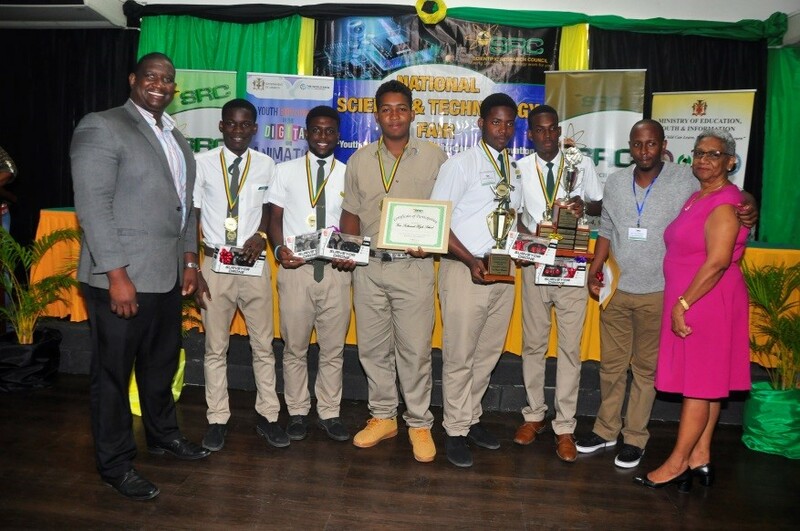 The Scientific Research Council (SRC) will partner with the Sustainable Youth Employment in Digital and Animation Industries (YEDAI) Project for Jamaica to execute three Science and Technology Fairs over the period, 2018 – 2020. 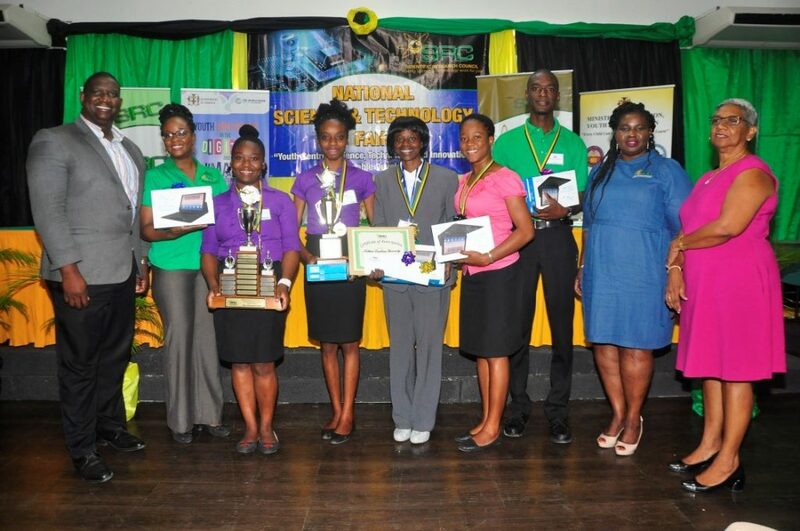 The first National Science and Technology Fair was held this year showcasing a range of projects – from primary school students producing cleaning products made of local plants to high school students creating water distillers. In keeping with the aim, the fair gave various students the opportunity to identify, produce and commercialize products and services geared at improving national growth and development. There has been much talk about the importance of entrepreneurship being introduced to students at an early age in addition to the usual academic agenda. The fair has found a unique balance between the two in allowing students to use scientific principles and processes to develop or improve products and services. However, the fair did not only offer students a chance to compete as regional ideation sessions and workshops were held previously. 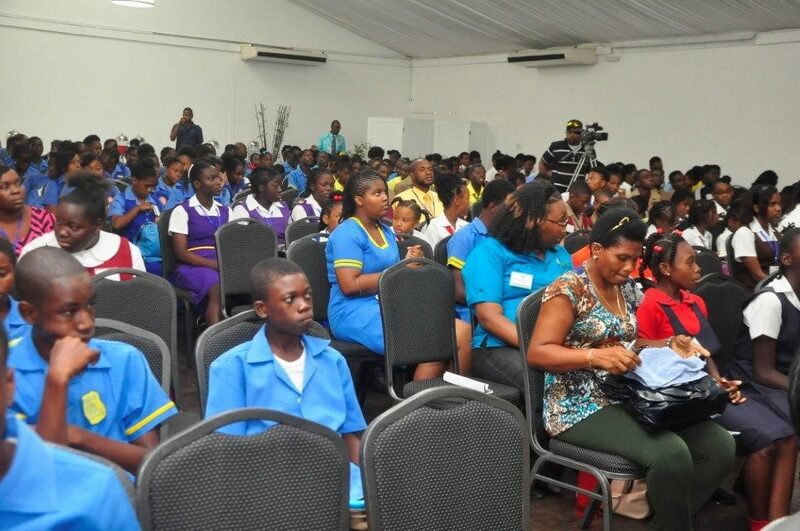 It helped students and teachers across the island at the primary, secondary and tertiary level identify feasible business ideas, develop working prototypes and create start-ups with an aim to address local problems. Over thirty six projects were on display at the Spanish Court Hotel in Kingston for the event. Students from twenty schools showcased their scientific solutions in areas such as education, agriculture, food and agro-processing, energy, ICT and electronics, health & safety as well as sports / athletics. The event also featured thirty local companies and activities such as drone and solar cooking demonstrations, as well as a tech entrepreneurship session. Awards were given for the best idea at the primary, secondary and tertiary level as well as the most environmentally friendly, most innovative, best commercial application and the best use of technology presented in the projects. 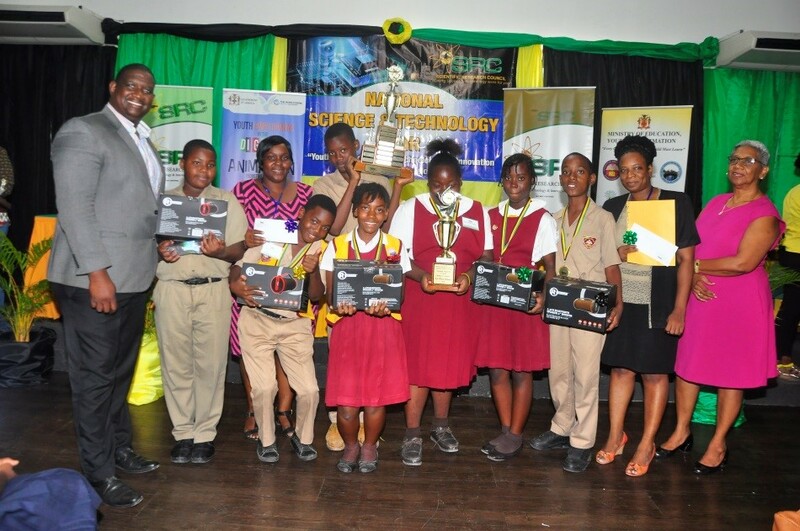 Awards were also given for the first, second and third place schools overall. Lastly, the fair allowed students to move from a theoretical idea to making a business by selecting nine projects to receive business and technical support to effectively help them move towards commercialization. Partners and sponsors of the Fair were: YEDAI Project, Ministry of Science, Energy & Technology, Ministry of Education, Youth and Information, Coldax Mart, Collins Books and More, Kingston Bookshop, Adam & Eve Day Spa, Wisynco Group Limited, Lifespan Spring Water, Radioshack Jamaica and Facey Group.